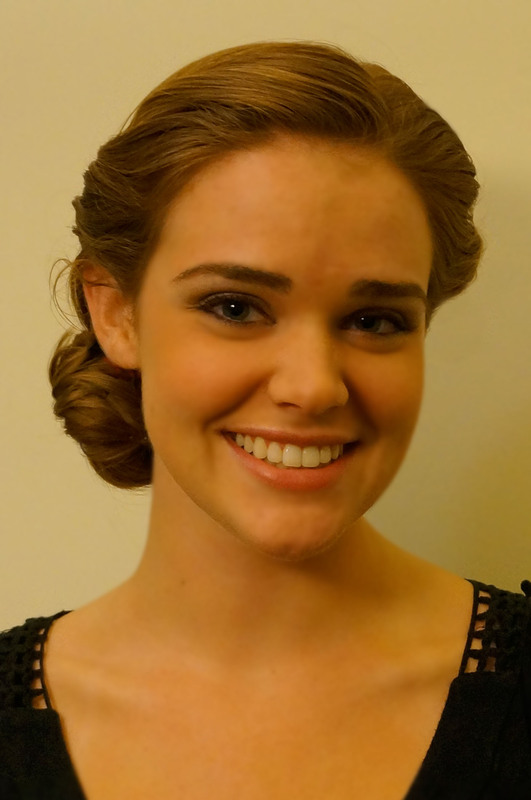 We love this hairstyle as a versatile updo that is just as appropriate at the workplace as at a fun party! It is also great for rainy days- it held up for Amelia even on the most humid of Florida days! 2) Split your hair into a left and right section; the left section will be smaller, starting at the base of the left ear. 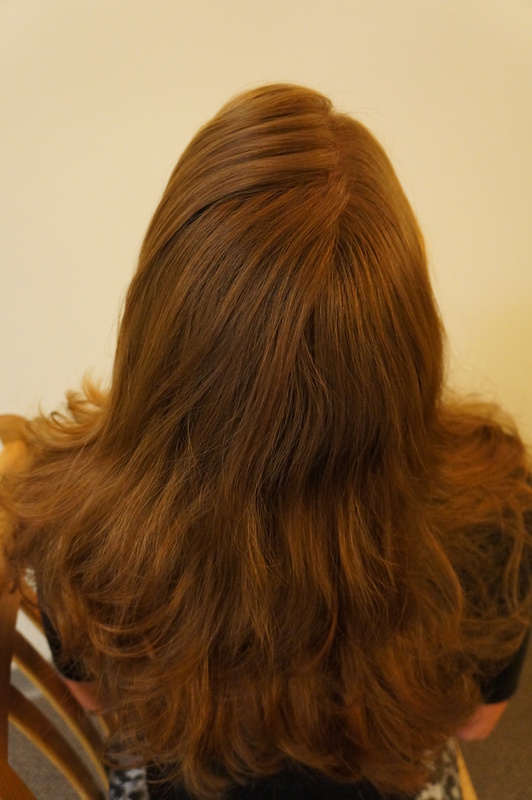 The right section will be larger, containing most of the hair from the back of the head and the right side of the head. 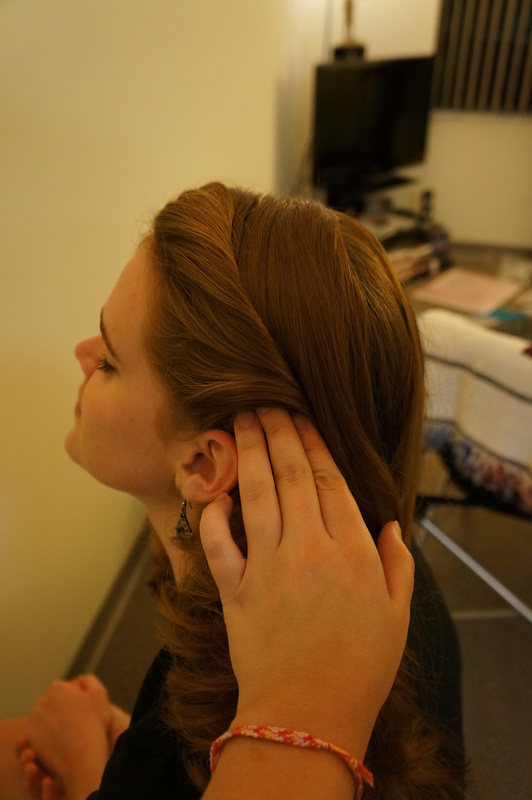 3) Starting on the left side of the part, twist the hair in the left section starting at the crown and moving towards the nape of the neck just behind the left ear (where the bun will be). 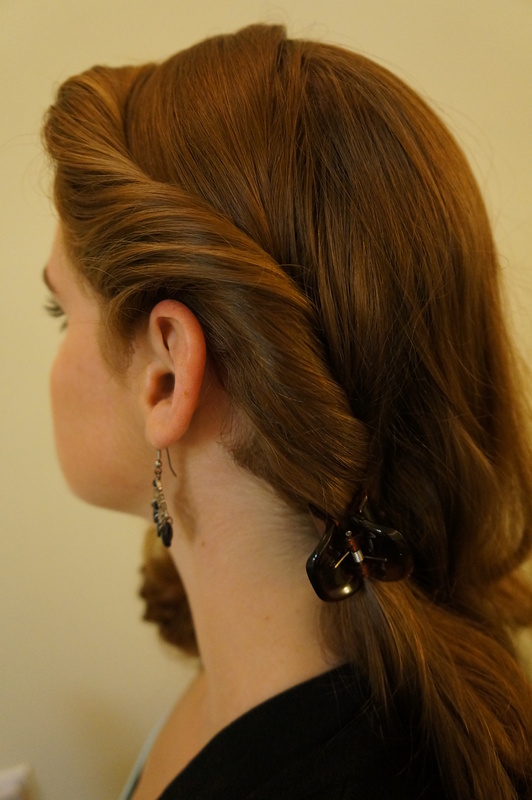 4) Use a butterfly clip to hold the twist in place as you work on the right. 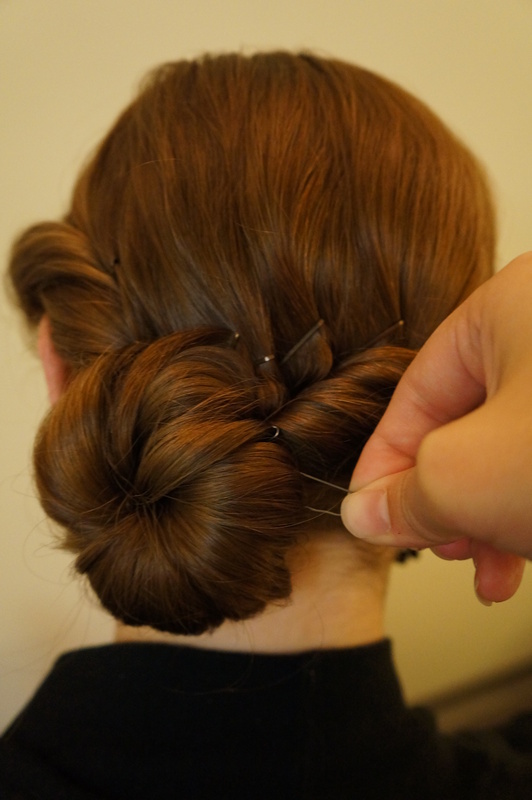 5) Use bobby pins to secure the twist in place. 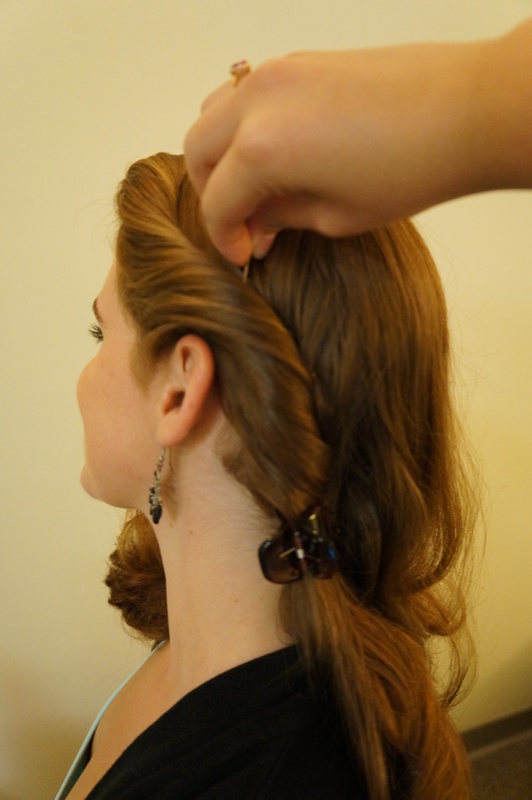 6) Starting on the right side of the part, twist the hair in the right-hand section, starting at the crown, working your way around the head to the left base of the neck, to meet the other twist. 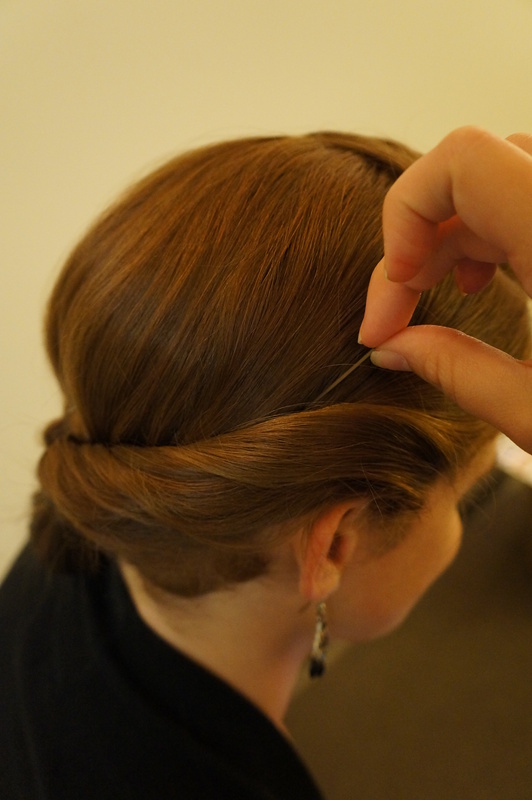 7) Use bobby pins to secure the twist in place. 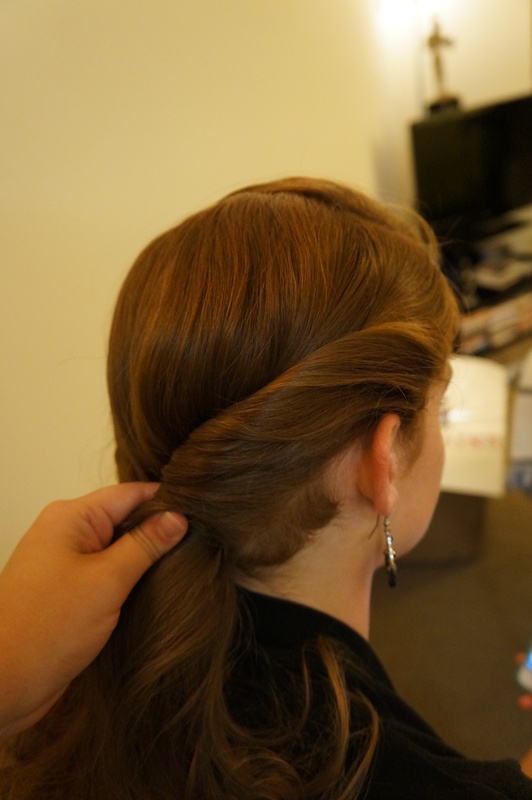 8) Remove the butterfly clip from the left twist and use a hair tie to put your hair in a low side ponytail. 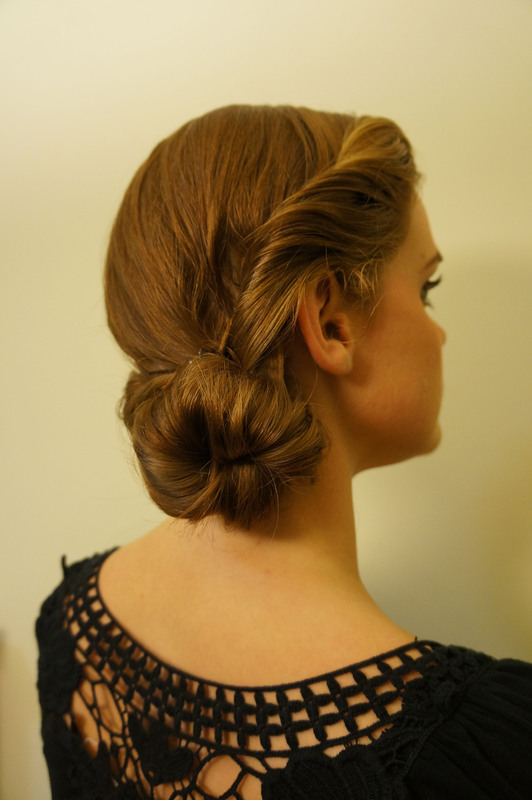 Twist the hair around the base of the ponytail, creating a bun, pinning as you go with bobby pins. 9) There you have it!! 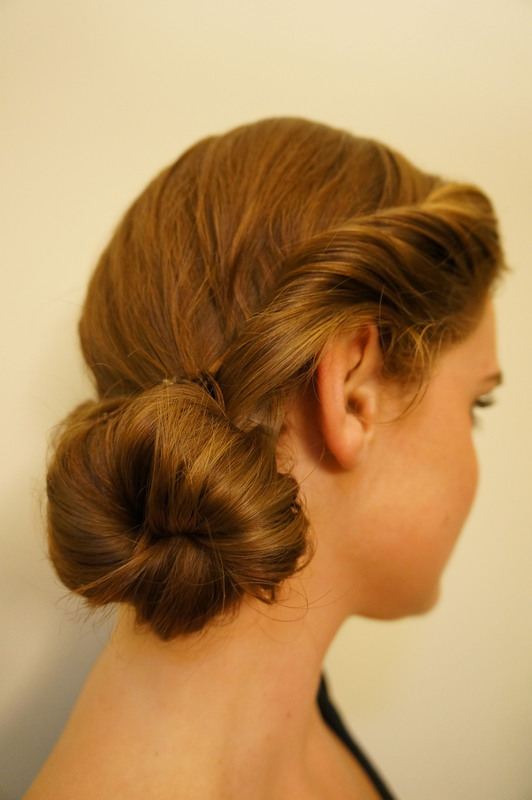 Once you’ve completed your bun, tuck in any visible bobby pins, mist with hairspray, and you’re ready to go!! Looks easy! Great do for the hot humid weather in Florida! Great job and it looks fun! Kristen has such fabulous hair! I think I’m going to give this style a shot for work. Thanks for the pinspiration, girls! Thank you, let us know how it turns out!